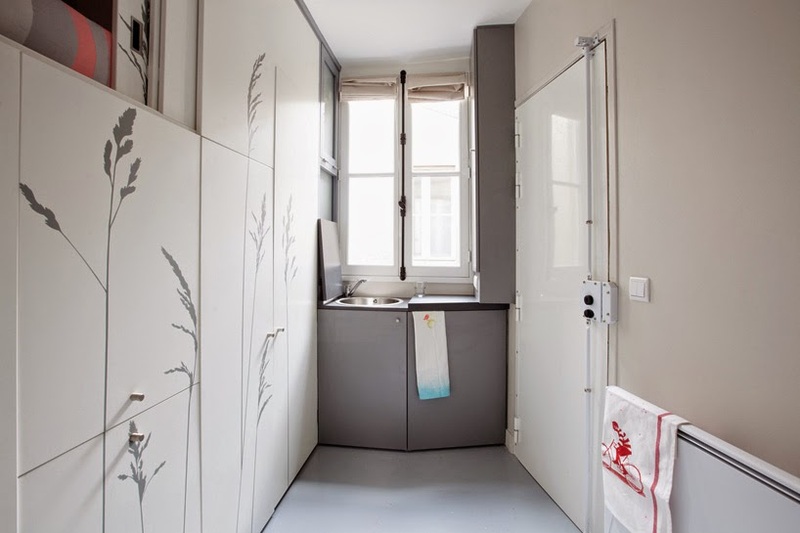 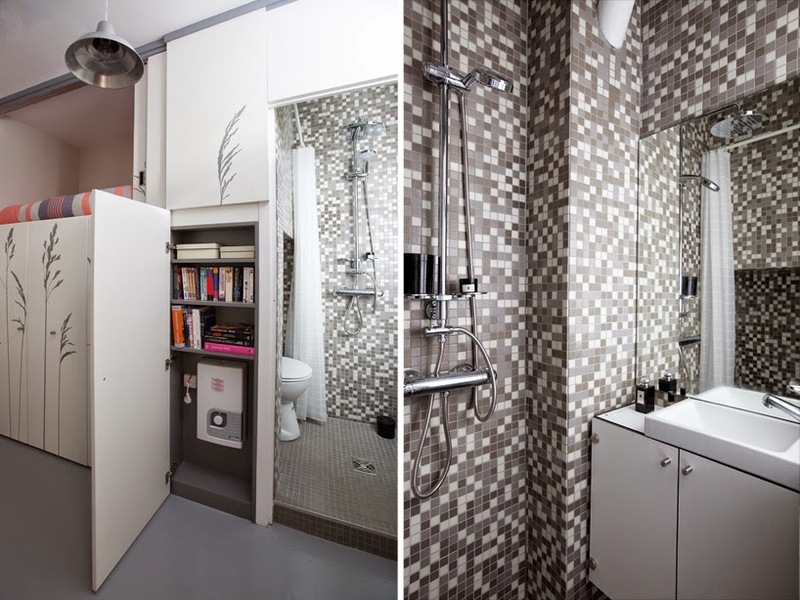 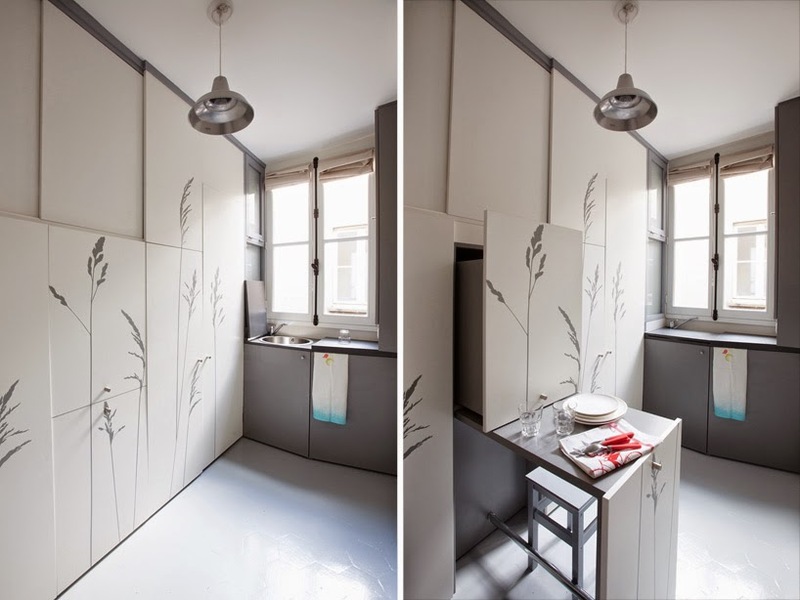 French designers Kitoko of Kitoko Studio turned a tiny room (8 sqm) into a really functional and easy to live apartment. 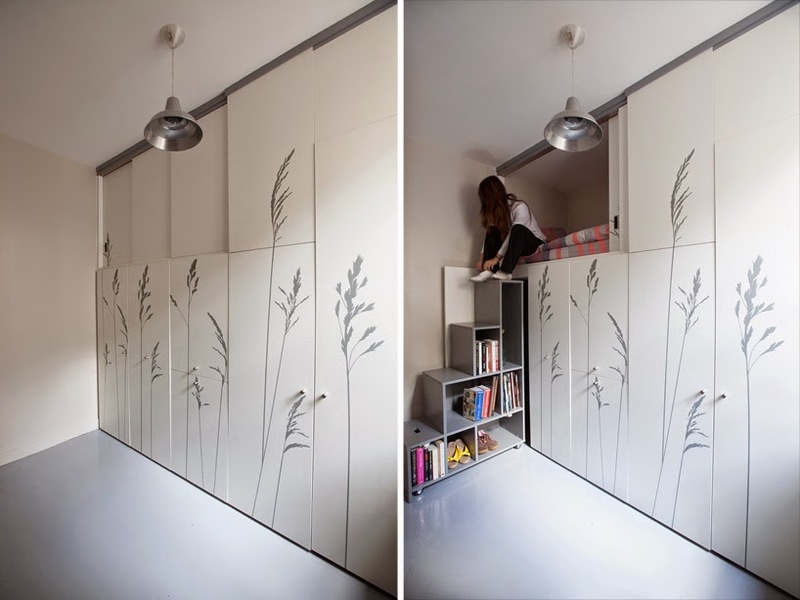 Despite the limited dimensions, the space had to be functional in order to sleep, cook, eat, wash, work and store a maximum amount of items. 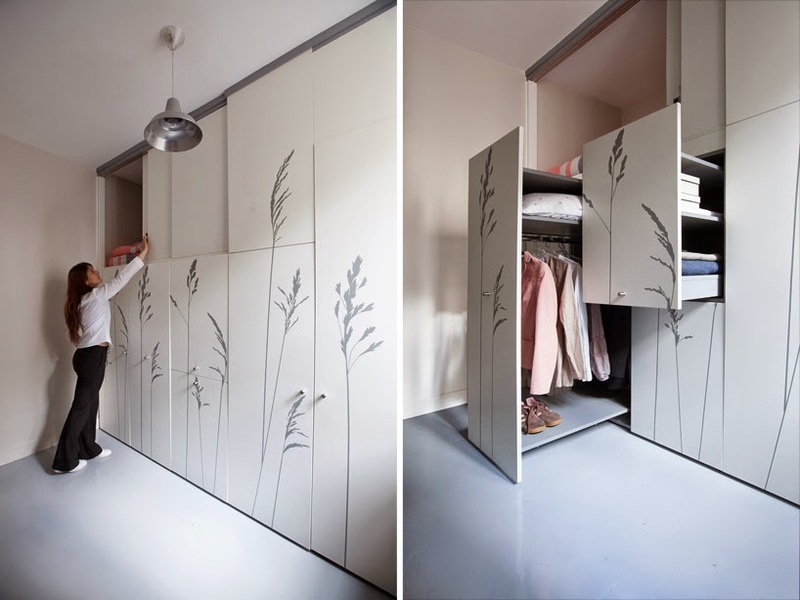 The overall concept is like a 'Swiss army knife’, the accessory is a simple knife but, by a game of sliding and folding, it can contain a multitude of tools in a very small object. 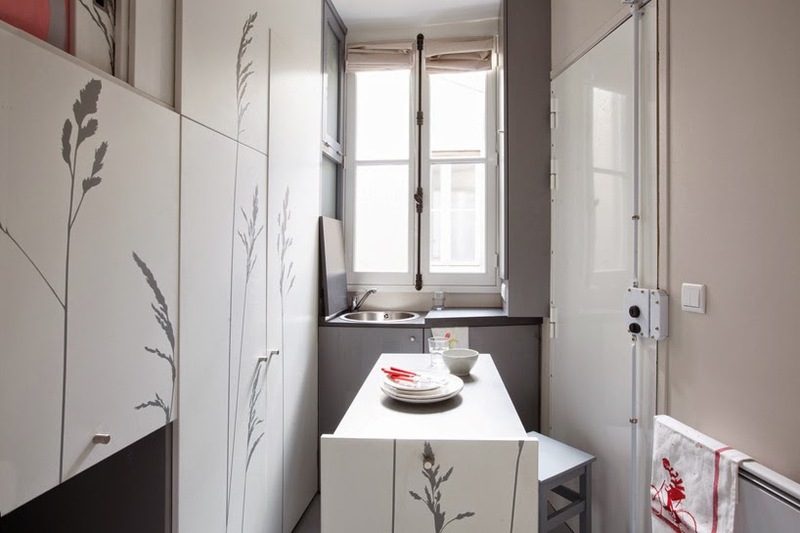 The renovation is a modular transcription of such an object with elements of storage, a bed, a table, a wardrobe, a staircase, a kitchenette and a bathroom, all fully integrated within a large closet, which can be opened and closed according to the needs and changes the perception of space.